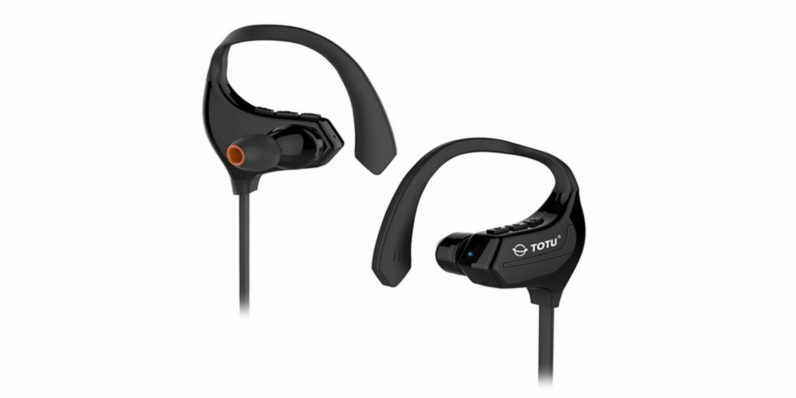 If you’re looking for powerful Bluetooth headphones that stay put during your workouts, we’ve got a solution: The TOTU Bluetooth Sport Headphones. This impressive headset is now an impressive 65 percent off, courtesy of TNW Deals. Specifically designed for people with active lifestyles, the TOTU headphones work wirelessly to ensure you get your tunes in — even on the go. Comfortable to wear and easy to use, they’re ideal for workout freaks and audiophiles alike. They deliver solid bass lows and crisp highs, immersing you in sonic bliss, and will also allow you to answer phone calls with no fuss. On top of that, they’ll fit snugly in your ears, ensuring you won’t miss a beat during your runs, walks, and hikes. Charging your TOTU headphones couldn’t be easier, thanks to a micro USB port on the right earpiece. And a LED light indicator will let you know when your set is fully charged — enough for seven full hours of battery life. Take your listening experience to the next level, without breaking the bank. Pick up your set of TOTU headphones for just $34.99 from TNW Deals, with free shipping to the Continental US. included.